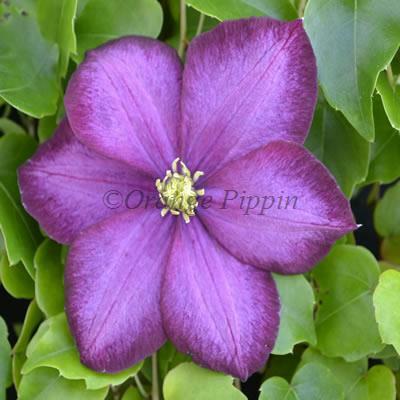 Clematis 'Ville de Lyon' produces bright, beautiful purple-red flowers with a mid-pink bar/stripe and last from July through to October. The centres fade through age or sun, but the edges maintain their colour, creating a very striking effect. Clematis 'Ville de Lyon' was raised by Francisque Morel of Lyon, France. This non-evergreen climber would make a lovely addition to the cottage garden and can be grown against a trellis, garden fence, wall, arches, pillars, pergolas, clambering over tree stumps and through large shrubs or planted in a container trained up bamboo canes or an obelisk.